New slogan. New self-deprecating attitude. 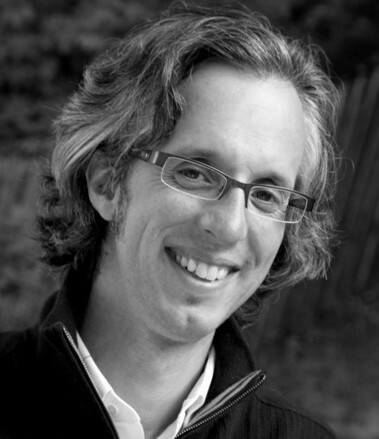 Turning negatives into marketing positives can be tricky propositions but, when done right, result in magic. Exhibit A from last year, and likely the strongest recent example: Snowbird and Struck, where one-star reviews were brilliantly turned into a full-on campaign touting the challenge of the mountain. 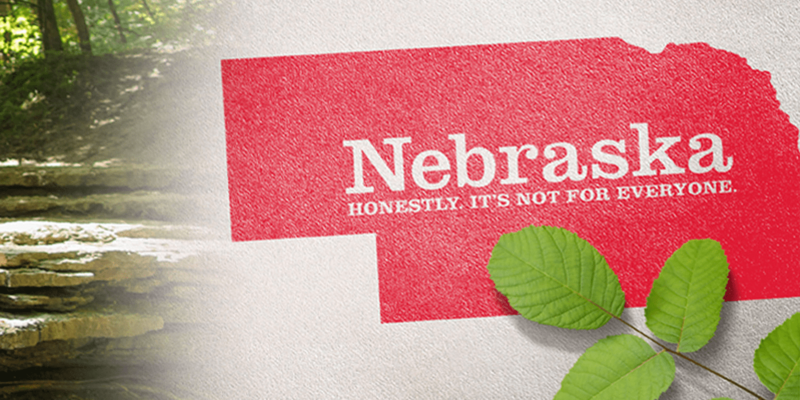 The state of Nebraska is taking the spirit of negativity and giving it a self-deprecating Midwestern spin with a new campaign revealed yesterday and set to launch next spring. “Nebraska. 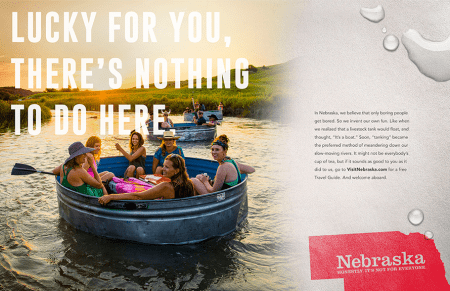 Honestly, it’s not for everyone,” created by Denver agency Vladimir Jones, is peak Nebraska and betting on the fact that the lack of pretention will play well. For the most part, Nebraska is mostly (and unfairly) consigned to being a fly-over or drive-through state. Even the press release for the campaign concedes that the state “may not be on everyone’s bucket list of places to visit.” However, there are plenty of interesting and fun things to do, which are pointed out in some of the creative, all with a little wink. 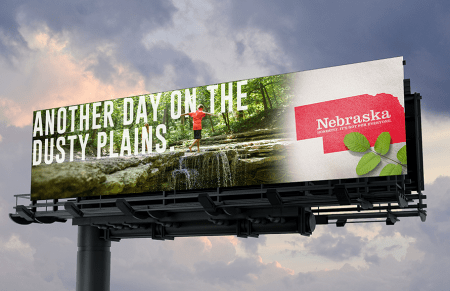 The approach could either be marketing genius or continue to solidify Nebraska’s built-in perceptions further. Locally, reactions were mixed, with some shaking their heads at the campaign and others feeling that it captured the state’s essence. But research conducted by tourism consultancy Brand Lever indicates that the approach was well-received. According to the Omaha World-Herald, one ad, with the line “Festivals for everything from mud to testicles” touting two events that feature deep-fried sheep and beef testicles, was a hit key target audiences in Kansas City, Minneapolis and Denver. 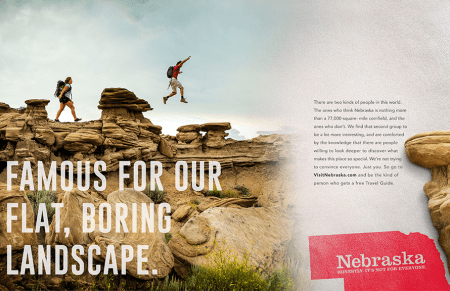 Either way, the Nebraska Tourism Commission felt that it was essential to disruptively step out of the shadows of the previous slogan, “Visit Nebraska. Visit Nice.” and work its way out of being dead last on the list of states that tourists are interested in considering for their next vacation.